Kids need to learn about 40,000-50,000 words by the time they graduate high school. Traditional approaches to vocabulary instruction (listing, looking up, defining, writing in a sentence) have proven to be unsuccessful, but even if this instruction were perfectly successful children would fall far short of the number of words they needed to know by the end of their K-12 schooling. It is readily apparent that children must learn most of their words incidentally, in conversation with their teachers, parents and peers and through reading and being read to. While this learning may be incidental, it does not mean that it cannot be fostered in the classroom. What children need to develop is a word consciousness, an awareness of and curiosity about words that will motivate the learning of new words. Teachers have a huge role to play in developing this consciousness. With jagged teeth, a crooked smile. We sat down to talk awhile. When he was just a juvenile. Remember they’re not mean or vile. Keep your distance – about a mile. Obviously, the target pattern is –ile words (and one sound alike, isle), but I want to call attention to words like versatile, juvenile and vile. These words would be challenging for most six and seven-year olds, but I included them, not just because they fit the pattern, but also because they provided an opportunity to talk about the words with the children in a real context and stretch their vocabulary. In this way, and in many other ways, teachers can help students develop a curiosity about words and an awareness of how words work and how they are interrelated. This curiosity and awareness has been called word consciousness. 1. Create a rich word environment – What are the words that students see in the classroom environment (word walls, anchor charts, etc. ), read in a variety of texts in the classroom library, hear spoken by the teacher and other students, and ultimately use in their own speaking and writing? 2. Recognize and promote adept diction – Diction, in this case is precision in the choice of words. Graves and Watts-Taffe recommend that one way to develop adept diction is through repeated read alouds and direct discussion of words encountered in the read aloud and how they can be used by students. I wrote about the read aloud/vocabulary connection in this post. 3. Promote Word Play – Stock the room with commercially available word games as well as games that teachers can make and use in word based literacy centers. 5. Involve students in word investigations – Students might be interested in investigating the special vocabulary used by certain professions, or the derivation of slang expressions or new words that have entered our language in the last decade. 6. Teach Students About Words – Teachers should take every opportunity to model their own word consciousness by directly teaching kids about words. When students encounter the word “sign” in their reading, I might ask them why the “g” in “sign” is silent. This gives me an opportunity to talk about how “sign” is related to “signal” and that we keep the “g” in “sign” even though we don’t pronounce it, to make sure that the reader understands the meaning. This can then lead to a discussion of all sorts of words – signature, assignment, signage, assignation, signatory, signet, significance, signify, sign language. 1. Explain the meaning of the new word (or have another student explain it). 2. Extend the meaning of the word by providing examples. 3. Engage students with the word by helping them to make connections with their own experiences. 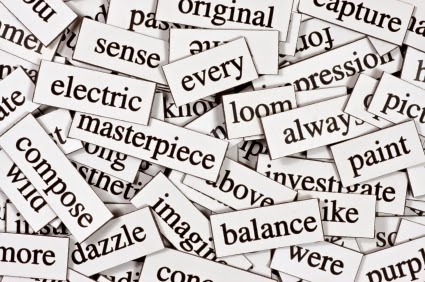 Words are endlessly fascinating things. Martin Luther King used his special way with words as the platform for a movement that changed the world (I have a dream). So did Abraham Lincoln (of the people, for the people, by the people) and Franklin Roosevelt (nothing to fear, but fear itself) and John F. Kennedy (ask not what your country can do for you). As teachers we need to foster our own love and fascination with words and we must share that love with our students and thoughtfully and systematically nurture their own word consciousness. In this way we set the stage for the development of the rich vocabulary that is so necessary for our students’ academic, social and professional success. The Limits of "Sounding It Out"